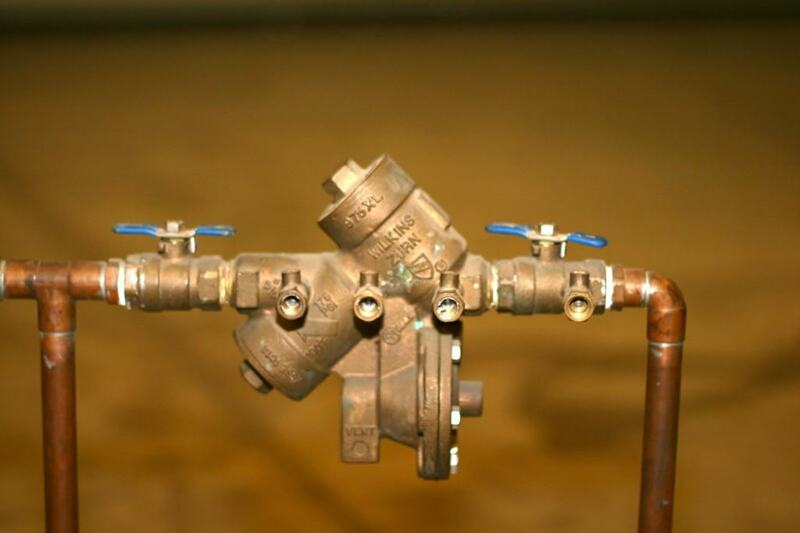 If you have one or more backflow prevention valves or backflow preventer assemblies installed on the piping system at your facility, then you are typically required by NJ regulations to have backflow preventer testing or backflow prevention certification performed on an annual basis, in order to ensure that these valves are working correctly. 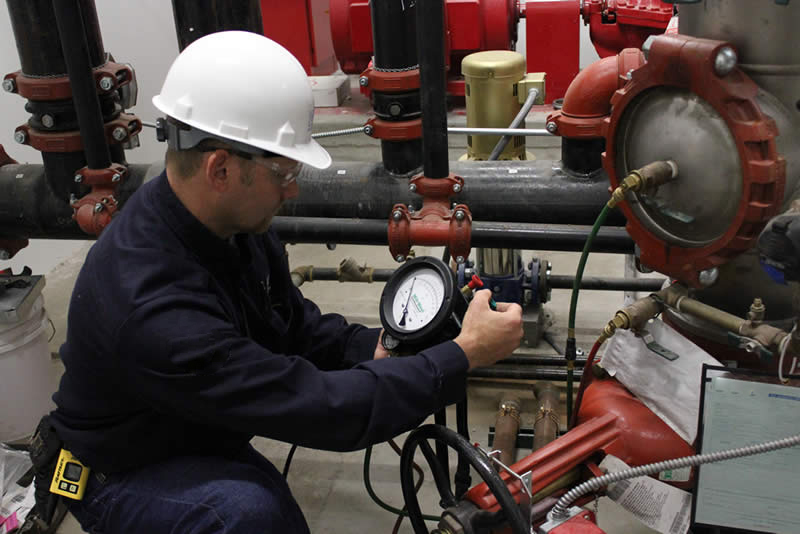 Sander Mechanical Service provides commercial building owners with comprehensive backflow prevention testing and backflow preventer certification services in New Jersey, including backflow preventer valve installation and repairs. Backflow occurs when used or non-potable water moves back into a potable water piping system rather than moving according to its normal flow. Backflow can be caused by the increase of pressure on the building side or at the “point of use” resulting in the flow of water back toward the source. In most water systems, since water is intended to flow only in a certain direction (usually from the source in the street to the fixture or appliance in your facility), the reverse flow of non-potable water into a potable water source can cause contamination of public drinking water supplies. When is a Backflow Preventer Testing Required? 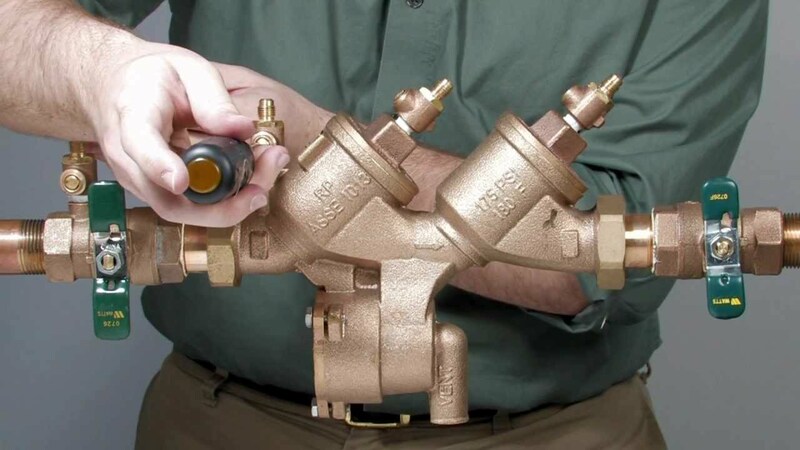 Not every building needs backflow preventer testing, but those with “cross connections” are required by state and local building codes to have a working backflow valve. Cross connections between potable and non-potable water supplies occur anytime the domestic potable water supply is connected to any device that contains contaminated, stagnant, or treated water, such as makeup water to your facility’s chilled water or hydronic heating HVAC and process equipment. If backflow occurs in any of these scenarios, it creates a hazardous situation for the building occupants. Backflow preventers are available from manufacturers like Apollo Valves, Flomatic, and Watts. These valves safely divert water when, for example, there’s a sudden pressure drop in the water mains, preventing contaminated water from flowing back into the public water supply. We install and service a variety of backflow prevention assemblies, and will select the most appropriate one for your specific application. Backflow preventers should be tested and certified annually by a licensed professional who can document that your devices were working properly on the date of certification. In addition, it is recommended that backflow prevention devices should be replaced or rebuilt as often as every 5 years. While this practice cannot guarantee that prevention devices won’t fail in-between certifications, it does show proactive prevention and can help mitigate building owners’ liability. 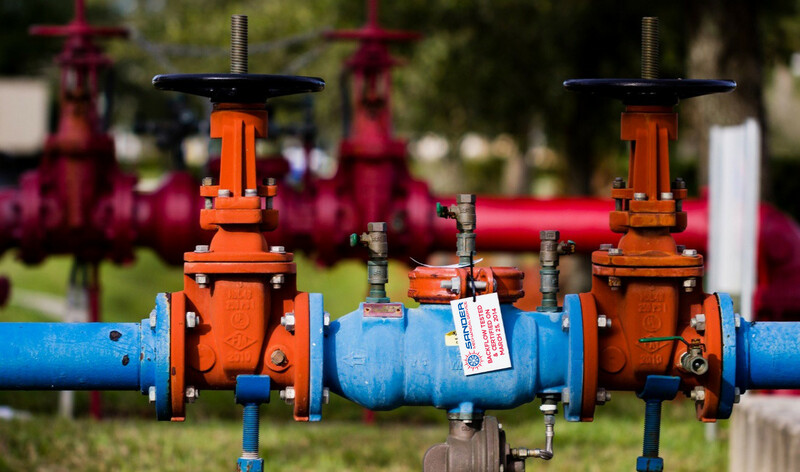 When a backflow preventer is tested, it’s determined whether or not the check valves of the device leak and if the relief valve opens at the required pressure range. If the device passes testing, it is certified for the year and will not require further action. However, if the device fails, it will need to be repaired and then retested to ensure that it passes for backflow certification. Sander Mechanical works closely with its clients to help you stay up-to-date on your backflow preventer certifications. We track your backflow preventer maintenance and provide reminders to schedule your annual certifications. When you receive your electronic notification, either give us a call to schedule the backflow preventer testing; or we can handle this as part of an ongoing preventative maintenance agreement, to ensure your backflow certification doesn’t slip through the cracks. Why Choose Us for Backflow Preventer Testing? 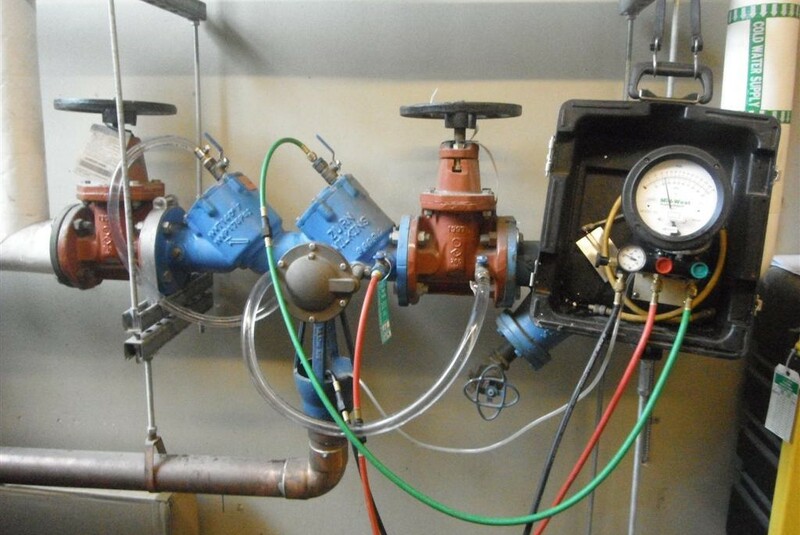 We utilize the latest backflow prevention certification tools and testing equipment. Backflow preventer testing and certification is required by NJ law and important for keeping our drinking water supplies clean, free from contaminants, and safe for consumption. If you haven’t had backflow prevention certification performed this year, you could be subject to violations and fines. For more information or to schedule your backflow testing, please contact Sander Mechanical today. Technology Innovation. Exceptional Results. Since 1965. -- Experience the difference. Rely on Sander Mechanical for all of your HVACR, energy management, and building automation needs. Whether it’s for service, maintenance, retrofits, capital projects, or new construction, we’ll help you implement optimum solutions based on the unique features and needs of your facility. For maximum building performance, contact Sander today to request a free evaluation. Serving all of NJ, southern NY, & eastern PA.
Stay up-to-date with the latest HVAC technologies, energy solutions, incentive programs, company news, and events. Copyright © 2019 Sander Mechanical Service - All rights reserved.